The internet can be accessed for 45 minutes. The service seemed to be same across the entire station even including inside the metro. Hyderabad: Free public wifi is now available at three metro stations. 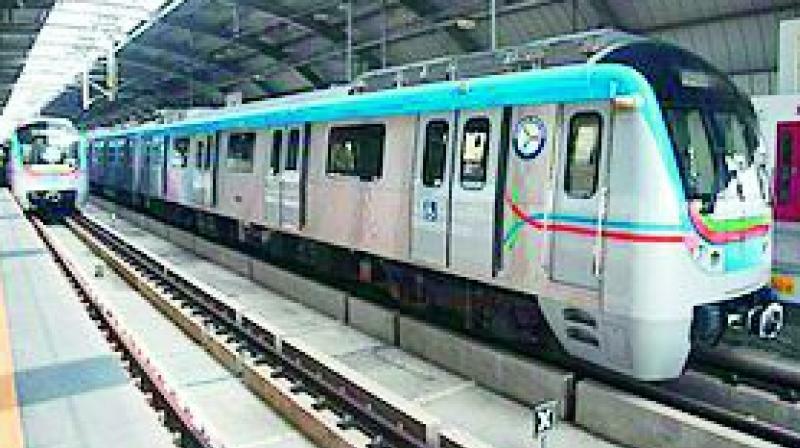 As part of a pilot project, L&THMRL, in association with ACT Fibernet, has setup free wifi access units for commuters at the Miyapur, Ameerpet and Nagole metro stations. According to officials, these stations were picked by the large amount of footfall and the facility will be made available at the other metro stations soon. A commuter needs to select ‘Act Fibernet’ from the available wifi options and register using his/her phone number. A passcode will be sent to the number which needs to be keyed in for the net connection. The internet can be accessed for 45 minutes. When this correspondent tested the facility at the Ameerpet metro station, the download speed was ranging from 20.3 mbps to 19.7 mbps, good enough to watch videos. The upload speed was at 21.2 mbps to 14.4 mbps, which was checked using Ookla test.